Vinyl and PVC roofs better known as plastic roofing sheets were introduced into Europe in the 1960’s known as polyvinyl roofing systems. 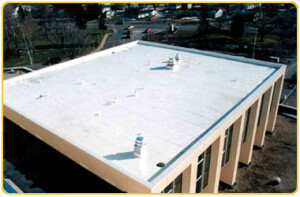 This system was one of the first types of single-ply roofing materials of its kind. Today more than 65 percent of commercial roofing in Europe uses this single-ply system. The PVC systems for roofs are the first single-ply system who obtained a designation from ASTM (American Society for Testing and Materials). PVC has become a popular thermoplastic type of roofing membrane choice among various consumers worldwide. The reason behind the tremendous growth in roofing systems using PVC is due to standout characteristics of these systems. Some of these include solar and heat reflectance, energy efficiency, and lower costs in life cycles, easily maintained, flexibility and ease in installation. The main stand out points for most consumers is that plastic can offer a cost effective option, long lasting, energy efficient and environmentally sustainable. White PVC roofing sheets reflect solar and sunlight energy. This can save owners of buildings 40 percent on electricity costs annually. Additionally the system will improve the performances of roof insulation up to 50 percent. As well as extending the life span of the roof up to 75 percent. These benefits allow for cooling equipment located on the roof to run efficiently, mitigating the harsh effects of urban heat (islands) and the pollution that they cause. This results in an improved comfort and quality of indoor air. The PVC systems are energy efficient and are able to mitigate urban heat (islands) that usually cause an increase of pollution to the air. PVC requires a lot less energy to manufacture compared to competitive products. The systems can last up to 30 years resulting in a reduction in rates of waste flows into landfills. PVC roofs can be installed directly over most types of old roofs. The sheets are recyclable and are the only material in roofing that is used again after recycling. Once the PVC roofing has been applied, then it is good to put a coating on top to prevent any leaks further down the line. The closed loop manufacturing results in a very low contribution to hazardous emissions and greenhouse gases. The reflective properties of the PVC extend the life of materials used for roof substrate which means the deterioration rate is slowed down by 75 percent. The waterproofing characteristics of PVC will prevent rust, corrosion or rot. Vinyl roofs are able to withstand tornadoes and hurricanes with very little damage. The plastic roofing sheets are highly resistant to grease, harmful substances and chemicals that are usually common on top of roofs. 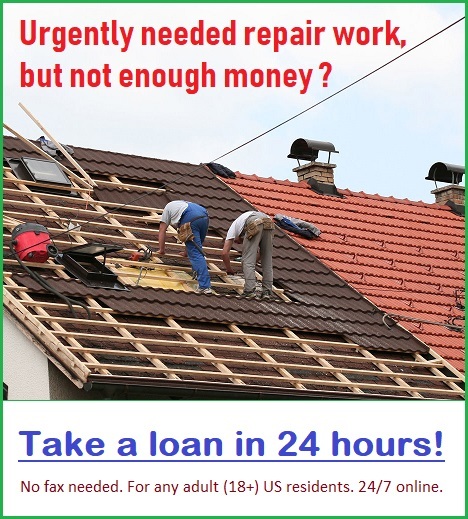 Seams or patches that are heat welded are all that is generally needed to repair these roofing systems. The PVC is additionally flame resistant and contains properties that add to flame retardation making this system a safer option for various business owners. The easy installation process makes the system a cost effective and viable option in roofing methods. 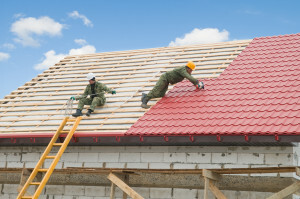 The long lasting material can mean the roof lasts for very many years.